The RA-1 will provide Soldiers with a multimission, steerable High Altitude Low Opening (HALO) or High Altitude High Opening (HAHO) capability. 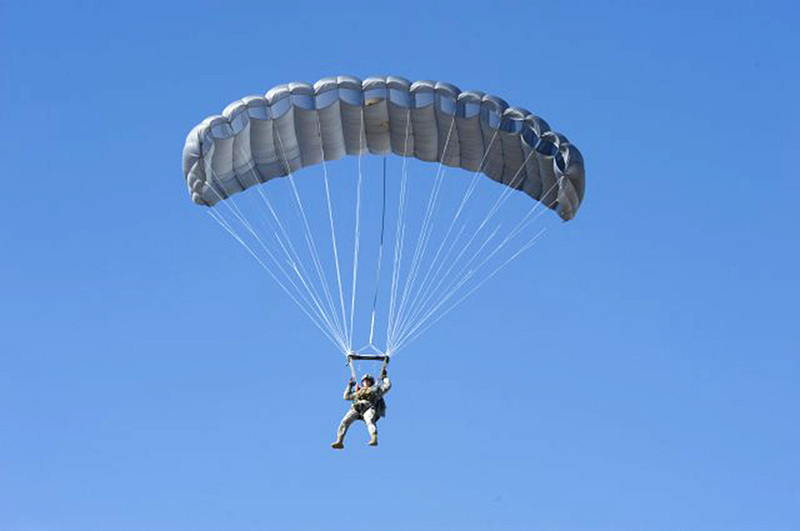 The RA-1 will replace the current MC-4 Ram Air Parachute System with a multimission, HALO or HAHO capability, which provide Military Free Fall (MFF) parachutists with a steerable insertion capability. The RA-1 will allow personnel to exit at altitudes between 3,500 feet to 35,000 feet Mean Sea Level with a total jumper exit weight of 450 pounds. The RA-1’s main parachute is a Ram air design. In addition to its use by MFF-qualified personnel, the RA-1 has the ability to operate in a double bag static line configuration.